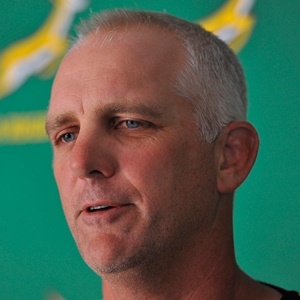 Cape Town - The testing of player combinations will be one of Junior Springbok coach Chean Roux’s main goals for the U20 International Series, which kicks off against Georgia’s Under-20s at Paarl Gymnasium on Tuesday. Roux named six capped Junior Springbok players in his 28-man squad for the match, in Rikus Pretorius, David Coetzer and Asenathi Ntlabakanye, who are in the starting XV, and Phendulani Buthelezi, Nkosikhona Masuku and David Kriel, who were named among the replacements. All six of them featured for the SA U20s last year, although Masuku and Kriel did not travel to the World Rugby U20 Championship in the south of France. The new law trials make provision for match-day squads of 28 players, although only eight of the replacements can be used on the day. Argentina – hosts of the World Rugby U20 Championship in Rosario and Sante Fe from 4 to 22 June – will meet a senior Namibia XV in the opening match of the U20 International Series at Paarl Gymnasium at 14h15 before the Junior Springboks take on Georgia at 16h00. With Roux’s team set to face Georgia in their second World Rugby U20 Championship pool match on Saturday, 8 June, this encounter will offer the players a taste of what to expect in Rosario. Roux was pleased with the prospect of naming an expanded squad and said: “Team selection was not very difficult because 30 players were in camp and we could select 28 of them according to the new law trials. Roux expected a tough test from the physical Georgian outfit, and said: “If we are not ready for this challenge it is going to be a rude awakening. The Junior Springboks will meet the Namibia XV in the second round of the U20 International Series at Tygerberg Rugby Club in Cape Town on Saturday, 13 April, and Argentina in the final round on Wednesday, 17 April, at Paul Roos Gymnasium in Stellenbosch. All three rounds of matches will be streamed live on DSTV Now, SS YouTube and SS.com.